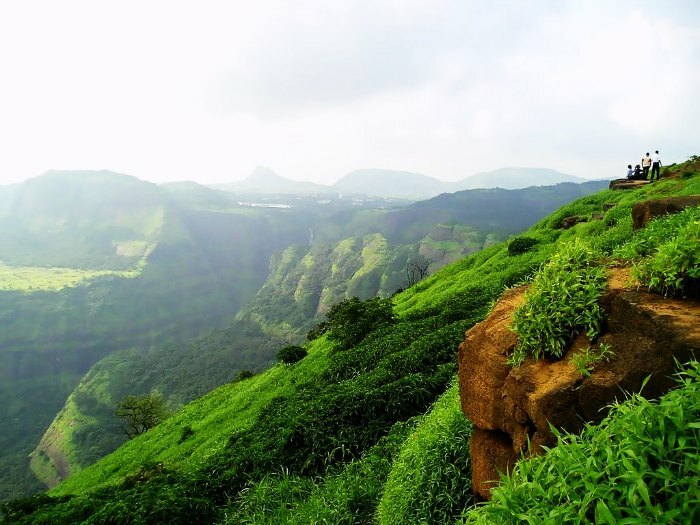 Here is the exhaustive list of some of the must to do treks in the Western Ghats around Pune and Mumbai . Raigad Fort is a magnificent hill fortress, situated in the Raigad district of Maharashtra greatly known as the most important forts in the history of Marathas. It lies around 120 kms away from Pune and serves as one of the great weekend trek around the Pune city. 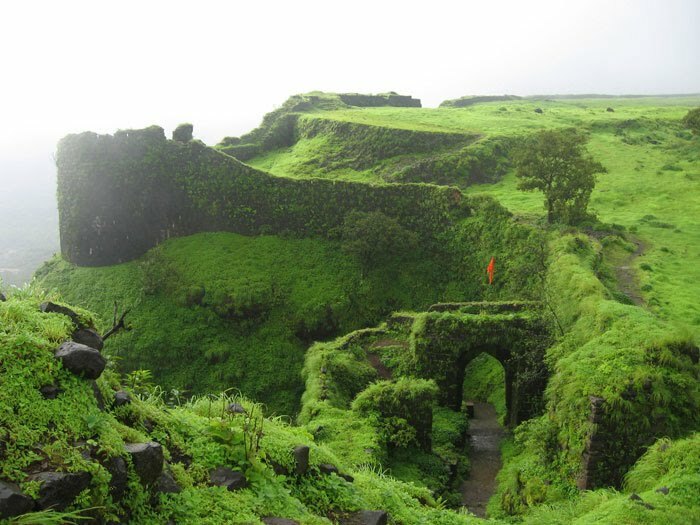 Raigad is well surrounded by steep mountains from all sides and was once considered the most secured fort. Perched at an altitude of 4535 fts ,the fort enjoyed a strategically important position serving as an important link between the coastal Maharashtra and Deccan plateau in the east .Due to its impregnability, Raigad was once known as “Gibraltar of East”.The main structures inside the Raigad Fort, which today stands mostly in ruins comprises of the Public Durbar, Queen’s Quarters, Watch Towers, Darwazas, etc. The main attraction on a fort is the samadhi of Chatrapati Shivaji Maharaj . For the convenience of Tourist ropeway service is also in place to reach the top of the fort. The ropeway from the base village takes around 4-5 minutes to reach the top. So senior people or physically challenged persons can take a rope way. 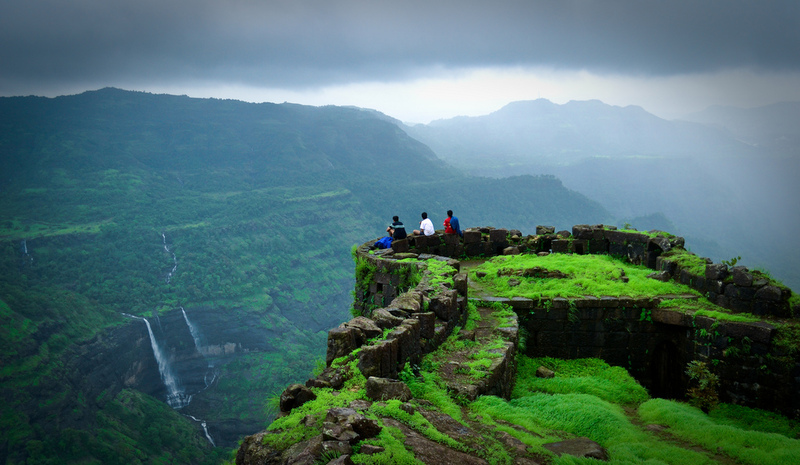 Aptly called as the trekkers paradise of Maharastra ,Harischandragad fort trek has every bit of thrill and adventure . Be it the experience of trekking under the thick canopy of forest , provision for night camping or the chance to visit the famous Kokan Kada ,it has everything wrapped into one .No doubt why it is sometimes said that if you haven’t trekked to Harishchandragad fort in the western ghats ranges ,then you haven’t trekked enough. 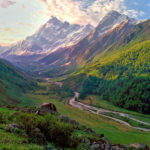 To reach the fort there are three major routes .The most famous and the difficult route is the Nali chi vaat is ,having few patches of vertical climb . The second route is via Khireshwar Village ,which can be deemed as a difficult route only due to its long and relatively gradient route . The third route is via Pachnai village ,which is the shortest and the easiest route to reach Harishchandragad fort . It takes approx. 7-8 Hrs just to reach the fort area and another 5 minutes to reach Kokan Kada top from the base .The other major sights are the Harishchandreshwar Temple and Kedareshwar cave. 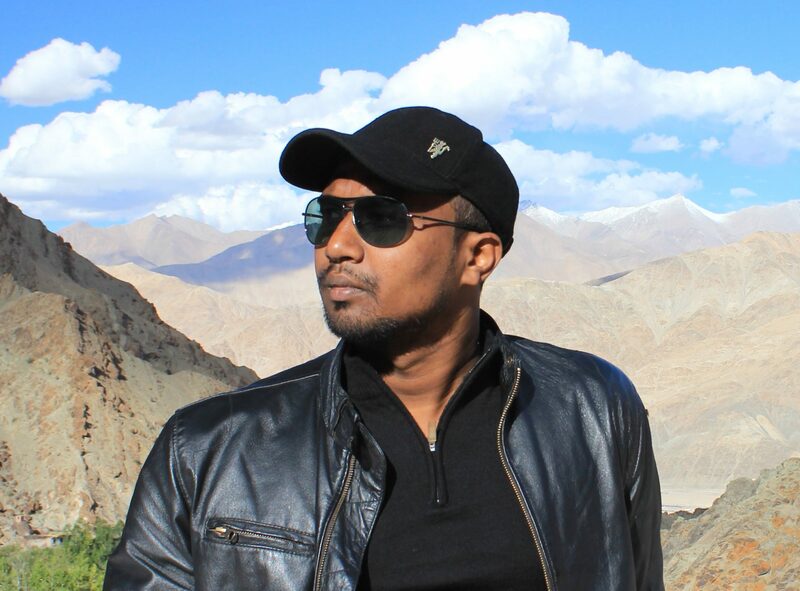 Best time to trek is during the month of October – March . This trek is usually undertaken as a night trek so trekkers are advised before hand to plan your trek and carry enough provisions. 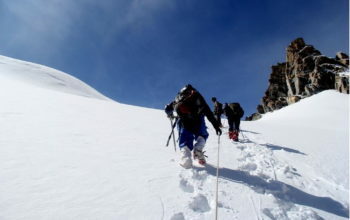 Although there are options to make a night halt at the base village and the choice to start early before the dawn, the uphill climb is too exhausting under the Sun, taking away the best part of the day’s light .Thus making it essentially a two-day trek. 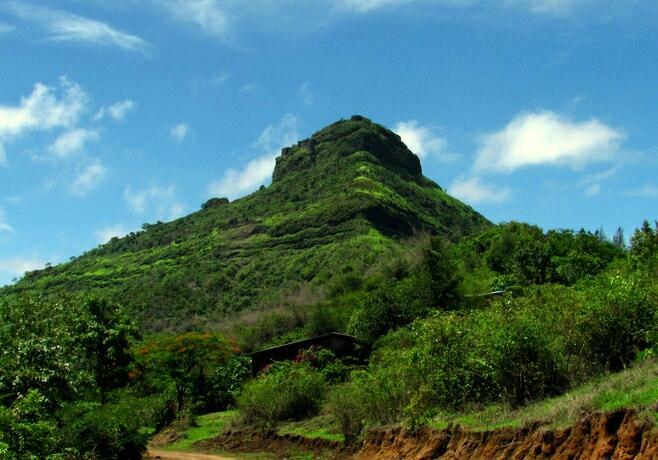 Rajgad Fort or the Kings of Forts is one of the grandest forts in the Sahaydris ranges . This fort was once Chatrapati Shivaji Maharaj’s capital for over 25 years before the capital was moved to the Raigad fort. The zig-zag narrow paths, the treacherous approaches to the deceiving double-walled fortifications, the massive Entrance gate called Maha darwaja and Chor darwaja tells the tale of the Fortress of the forgotten empire. The fort’s main entrance door is known as the Great Door or the Mahadarwaja. The sheer height of the fort and the beauty of the surrounding hills is truly a mesmerizing sight to behold. 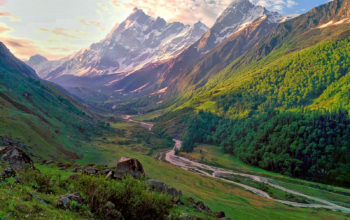 It takes around 2.5 hours to trek to the fort from its base village ,Gunjawane .The second route is from the Pali village that takes not more than 2 hrs to reach the fort .The months post monsoon season sees a large number of trekkers and campers flocking the fort . Regarded as the Everest of the Sahyadri region, Kalasubai peak is the highest peak of the mountain range of Sahyadri. 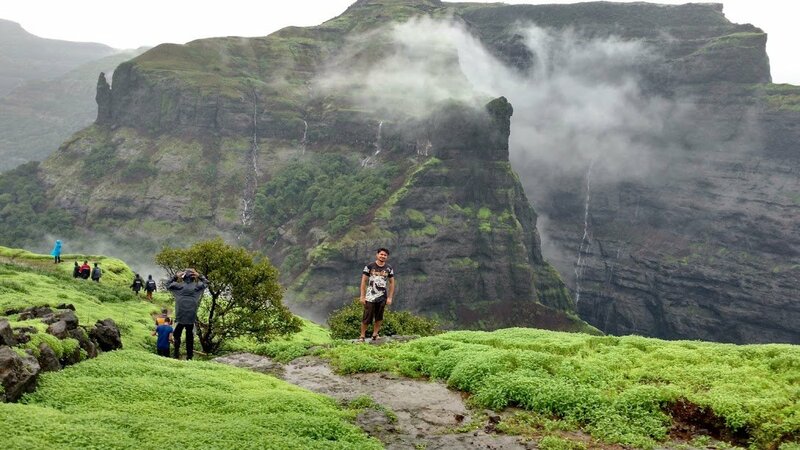 It is a part of the Kalsubai-Harishchandragad Wildlife Sanctuary which which is one of the most enjoyable trek during rainy season .Offering breathtaking view of the lush green valleys, roaring winds and numerous waterfalls en-route makes it a complete package that guarantees thrill and adventure seekers . There is a small temple of Kalsubai according to which the peak is named . 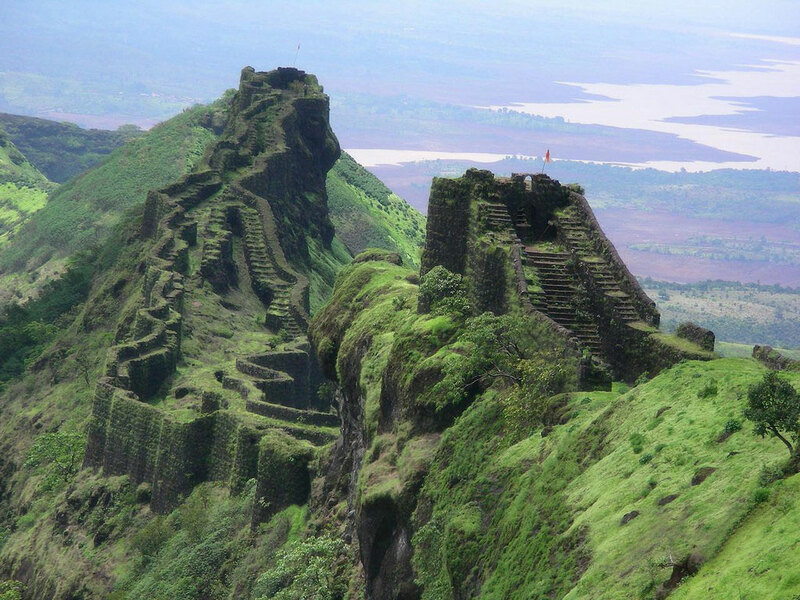 The peak provides a panoromic view of the other popular forts like (AMK-Alang-Madan-Kulang), Harishchandragad, Ratangad etc . The best time to trek Kalsubai is after the onset of monsoon i.e from late june till December . Rajmachi is the most accessible and so the most famous trek in the Shayadri ranges .The height of this fort is around 2700fts and was built by Shivaji in 17th century. The fort consists of two Balekillas (Shrivardhan and Manaranjan) which are the main attraction points here. It is among the favorite destination for every trekker and trekkers can choose any of the 2 available routes to reach the fort .The first route is from the Karjat side and the other from the Lonavala side .With constant gradient the in-experienced trekkers would find the Karjat route comparatively difficult than Lonavala .Which ever route one selects the whole trek route is surrounded by dense forest where one can get opportunity to see different species of birds and animals. There are two caves on route to the fort .These two caves inside the fort’s premises can accommodate at least 40 persons ,which makes it an excellent site for night camping. 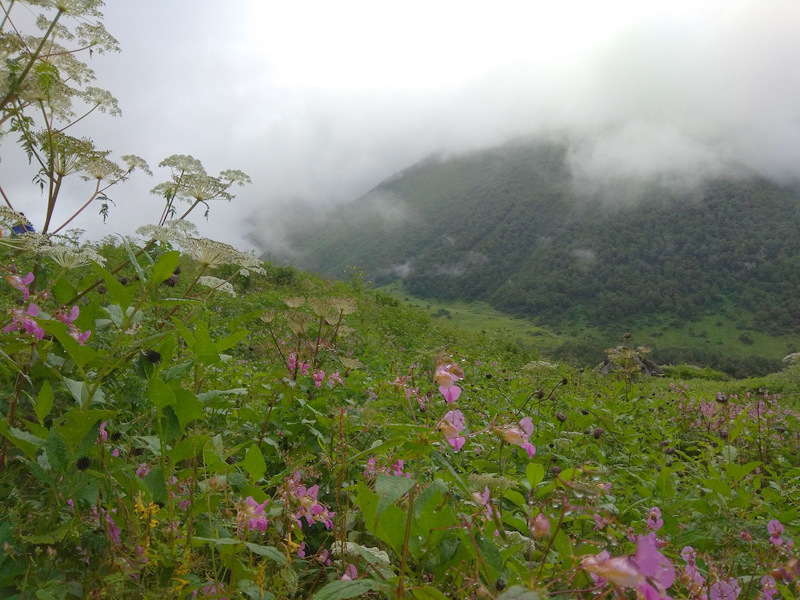 The best season to visit Rajmachi is during the months of monsoon and the winter season .During that period of time nature’s beauty is at its best and one can enjoy amazing view of a huge waterfall and lush green forests. 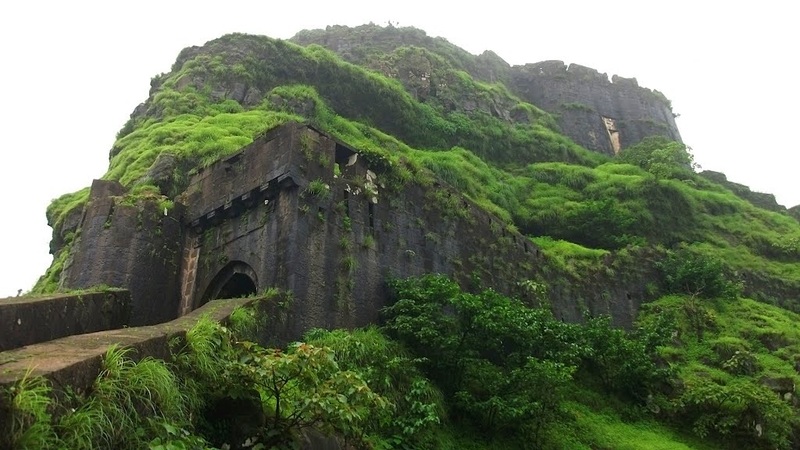 Korigad fort is located at a throwaway distance of 20 Kms from Pune which make it to the list of most frequented trekking destination .It is very well connected via th eold Mumbai Pune highway .To reach the top of the Korigad fort one can follow any of the two available popular trek route . 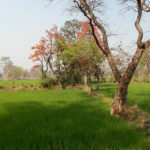 First route goes through the Pethshahpur village and the second route goes via Ambavne village. The easier of the two route is the route from Pethshahpur . This route starts from the Bhairavnath Temple at the base village which takes to the top of the Korigad fort .It hardly takes nearly 45-50 minutes for a fit person to reach the top .The trek can be done any day of the year . Also known as Vitandgad fort this strategic fort overlooking Kamshet ,once used to be a formidable hill fort in all of Malvan region of western India. This fort is on the top of a 3500 ft high hill which is in the shape of pyramid and so is the name Tikona which means ‘Triangle’. The trekkers have to reach the nearest base village called Tikona-Peth. The fort’s mammoth entrance gate is the special attraction of this trek.The other places that can be of interest when trekking to Tikona fort is the temple of ‘Trimbakeshwar Mahadev’ and some old Buddhist caves. Once at the top of the peak ,Tikona fort provides a commanding view of the nearby Pawna dam .Worth the place to trek . The fort is accessible throughout the year except the summers when the heat is un-bearable for the trek. Fort Peb, also known as Vikatgad is situated at a distance of 3-4 km on west side of Neral. 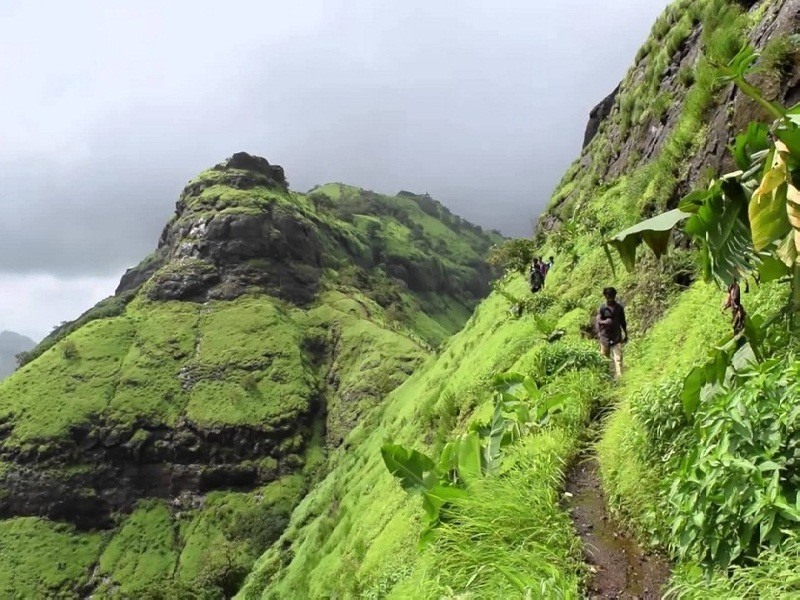 It is one of the easiest and the most beautiful one-day trek near Mumbai city . The fort derives it named after the Goddess ‘Pebi’ . The fort is also named as ‘VikatGad’ for its supposed shape of the Elephant Headed God, ‘Ganesh’. Historical references to the fort indicate that Chatrapati Shivaji Maharaj used the caves present inside the fort as silos for grain storage.The Vikatgad fort is very much near to the Matheran Mountain. The trek to the Peb fort starts from Neral (3.5 km) and it takes not more than two hours to reach the top of the fort. The path to reach the top passes through many small and big water streams and rocks patches of forests land. The trek is graded as moderate to difficult as per the route undertaken . Visitors has the option to climb down the Peb fort via Matheran route. which is quite popular among the trekkers. The downhill trek via Matheran route takes not less than an hour to reach the Matheran railway station . 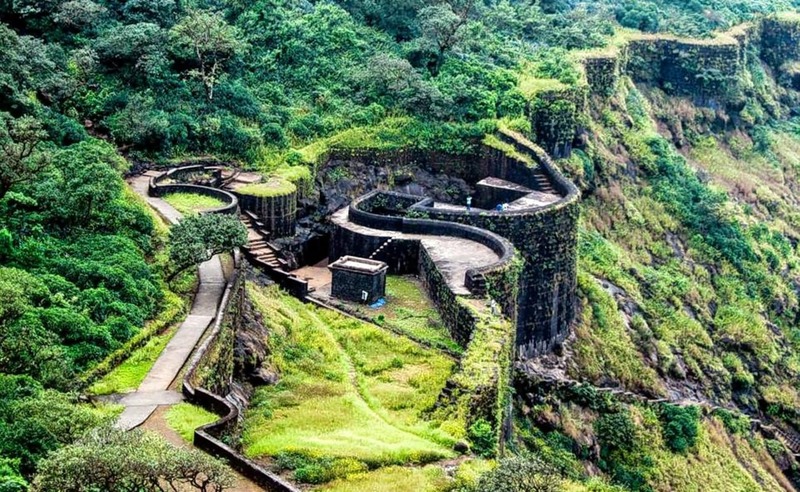 Lohagad fort or named as “Iron fort” is one of the many important hill forts established by Chatrapati Shivaji Maharaj. It is situated on a side range of the Sahyadris and divides the basins of the Pavna and Indrayani rivers. To its right on its eastern side lies the relatively flat fort of Visapur fort . So sometimes these forts are called as Twin forts of Visapur and Lohagad . The Lohagad fort has four large Iron gates namely Maha Darwaja, Narayan Darwaja , Hanuman Darwaja and Ganesh Darwaja which can still be found to be reasonably intact and in very good condition . 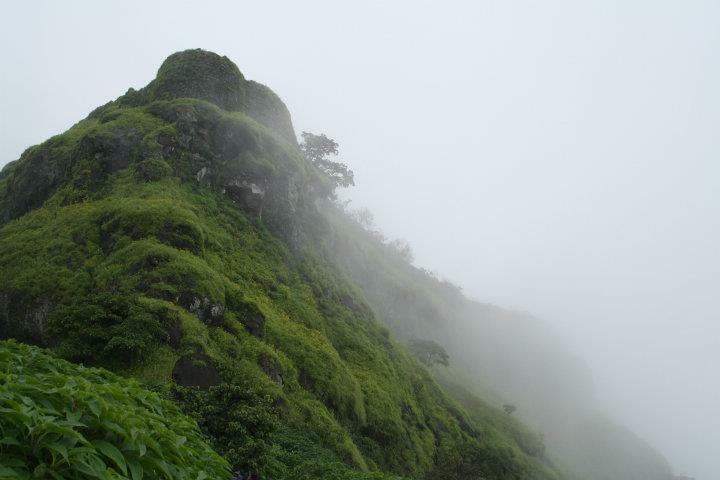 Lohagad trek is very popular especially during monsoons. Its accessibility and lush green surroundings makes it an ideal trekking route for all trekkers enthusiast .Best time to trek Lohagad fort is during the monsoon times. Ratangad is one of the forts which give a panoramic view of Sahyadri Ranges near Bhandardara lake. As the name suggests it is a jewel (Ratna) amidst the forest in Bhandardara area. 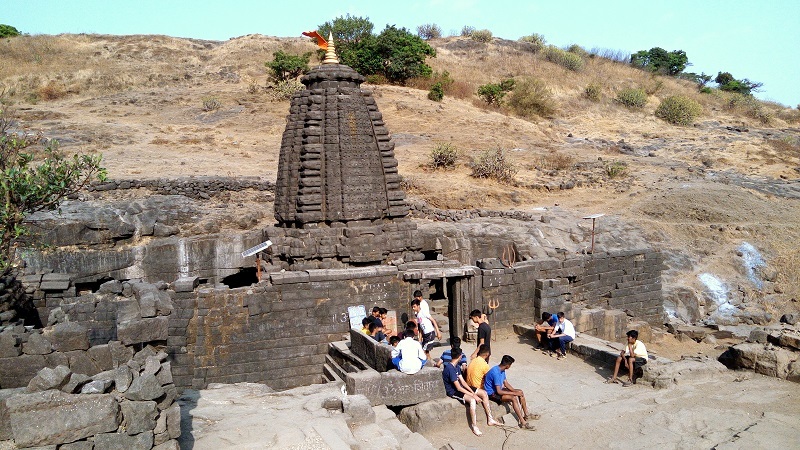 Ratanwadi is the base village for Ratangad having oldest temple from Hemadpanti era. The temple is known as Amruteshwar Temple and is famous for its carvings. Ratangad has still the remains of fortress with bastions & Stone Walls. Caves on Ratangad can easily accommodate 25 people at a time. The view from the fort is beautiful and breathtaking. One can see the magnificent View of Kalsubai, Aland-Madan-Kulang, Aajoba, Pabargad and backwaters of Bhandardara dam etc. Best time to trek is during the onset of monsoon.